Between ice and snow days, three kids with the flu, then me with it for a couple of days and throw some travel in there I’ve been working on the guide for the kit a bit more. It is coming together beautifully, and I enjoy working on it. But to be honest, I’m most excited to get back to work on finishing the main code. However since the drivers are a crucial part of the overall kit, this is time well spent. On another note, while my brother Daniel is in the process of moving I let a friend, Jeremiah borrow the original induction heater. 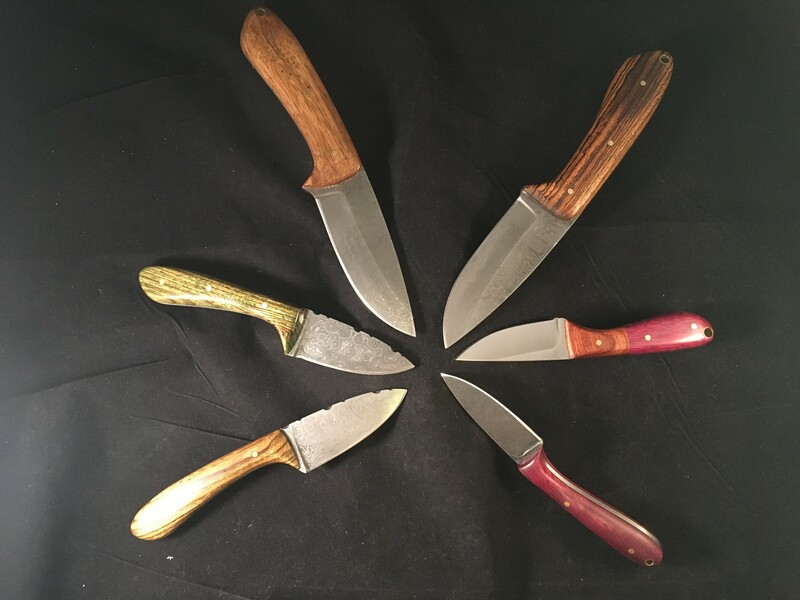 Jeremiah has been making knives for the better part of last year using stock blanks and handcrafting the handles from various materials. He wanted to get his feet wet forging his own blades from scratch but doesn’t have the area or set up for a flame forge. Maybe we’ll get some nice pictures or even a video or three. He is new to forging but has been studying the last few months, so he was ready for the IH! Here is some of Jeremiah’s recent work. I believe he said these were Christmas presents this past year. I’ve met others with impressive talents in blade crafting like Larry Fahnoe, check out his creations too! I am truly excited to see more people with access to induction heating and what they’ll do with it.